The MCRSA will hold its 50th Annual Conference June 4-6, 2019 at The Madison Concourse Hotel in downtown Madison, Wisconsin. 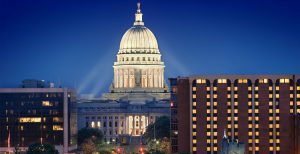 The hotel is located right in the heart of Madison, near the State Capitol, State Street, Overture Center, lakes, University of Wisconsin campus and Monona Terrace Convention Center. We invite you to be a part of this always enjoyable and productive professional meeting. The conference will offer a stimulating mix of academic and applied research perspectives. Please note and hold the dates. This will be a meeting you won’t want to miss.